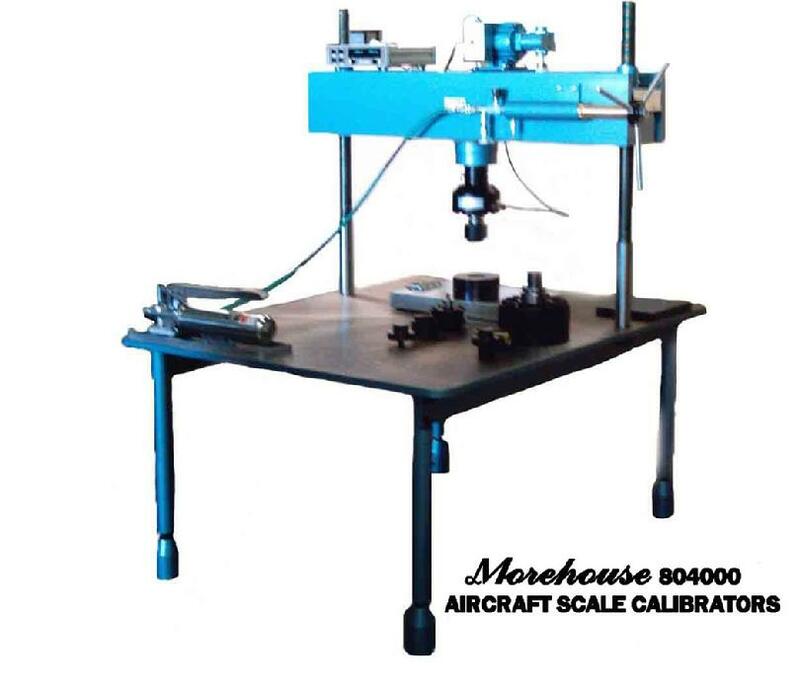 We calibrate all types and sizes of aircraft scale load cells and platforms. NIST traceable calibrations are conducted using the Morehouse Instrument Company Force UTM Machines fitted with Morehouse Master Gold quality load cells. Our calibration cells are fully calibrated by the master technicians at Morehouse. Each Gold cell is issued a master traceability certificate and we only use our master instrumentation for aircraft scale calibrations. Aircraftscales.com brands, JAWS scale brands, Vishay, Evergreen, GEC, Road Runner and Intercomp are all capable of being serviced on our equipment with full traceability. ISO/IEC 1725 and ANSI/NCSL Z540.3 calibrations are available with full certifications if so requested and would be quoted separately. Contact us today for your aircraft calibration needs. If you wish to purchase calibration equipment, we fully endorse the full line of Morehouse equipment with their high quality and performance. Use what the professionals use: Morehouse. We use Morehouse Force UTM equipment in our operations for NIST traceable calibrations. Here is our 60K test stand which is used for 10K up to 50K load cell testing and calibration.